No matter who you wanted to win the Super Bowl, we can all agree that the officiating of the game played an unusually large role in the outcome of this season. A series of key calls seemed to tilt the odds in favor of the Patriots—much to the frustration of everyone but Pats fans. The theories behind this trend varied widely, falling somewhere on a spectrum between ‘the Patriots are cheaters’ and ‘the Patriots are masters of the game’. But regardless of your opinion of the officiating, this season offered us all an important lesson: avoiding a penalty can be as important as making a big play. It may be tempting to ‘figure out’ the TMF during start up, however, failing to properly communicate TMF expectations will cause your team to stumble. The TMF – both its structure and associated processes – should be developed by an expert who has real world study management and TMF experience. Behind every document, a ‘how’ and ‘why’ should be communicated to the entire team. It is impossible for the people responsible for the TMF to meet or exceed expectations if they don’t know what those expectations are. TMF quality control is more than just taking an inventory of documents; it is the maintenance of a cycle that requires the time and expertise of your team. As regulatory scrutiny around the TMF increases, newly implemented QC processes must be supported with sufficient resources. Whether those resources are simple, like improved training, or complex, like the implementation of dedicated TMF staff, the people behind the TMF must have their needs met. Unsupported (and thus unsustainable) QC wastes time and encourages TMF avoidance behavior. At LMK we are technology agnostic. Regardless of the growth in eTMF tools and systems, the TMF medium must be driven by the people and processes behind it (not the other way around). Although the industry continues to rely more heavily on automated and electronic systems, the TMF will always be the product of the people who are invested in its creation and maintenance. TMF decision-makers should be as excited about their team as they are about new technology. 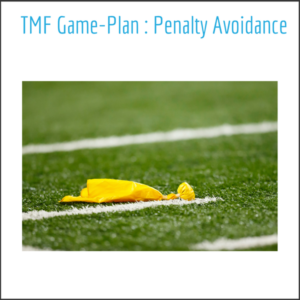 Every penalty—whether the TMF penalties above, or those on the football field—are totally avoidable. The Hail Mary pass may be what the fans talk about all offseason, but it can’t replace a good understanding of the rules of the game. 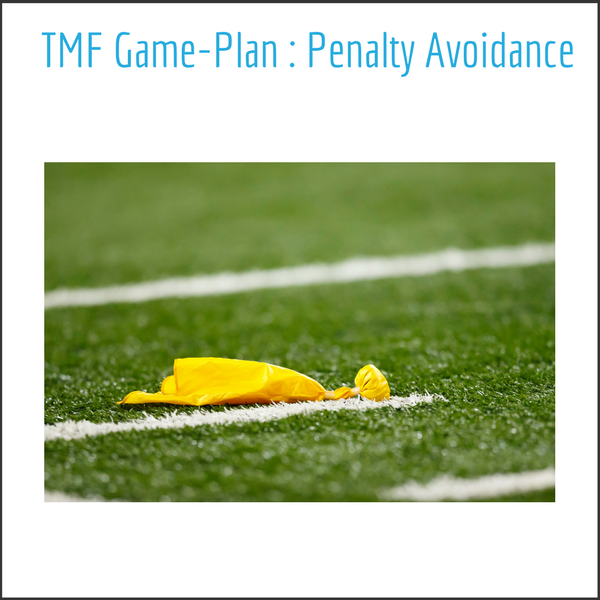 TMF penalty avoidance starts well before the coin toss and is rooted in preparation and discipline. When made a focus from the start of a trial, proper expectations, smart QC practices, and talented people come together to form the game-plan that will bring your TMF to victory.